In 2008, Americans drank 50 million cases of beer on Super Bowl Sunday, according to data compiled by Nielsen. That's the equivalent of 1.2 billion 12-ounce bottles (or cans). The actual total volume of beer consumed would have been even greater than that, because Neilsen's data excluded beer served at restaurants, bars, or at the University of Phoenix Stadium (site of Super Bowl XLII, when the New York Giants upset the favored New England Patriots). Even so, the Super Bowl was only the 8th highest beer selling occasion for the year. Neilsen's methodology was to include sales data for the days surrounding the event. The end to January and beginning to February are slow for consumer purchases. To accompany the beer they drank while watching the Super Bowl, Americans consumed more than 100 million pounds of chicken wings, the equivalent of 1.25 billion wing portions (acording to the National Chicken Council). But, fret not, animal-flesh abstainers. According to the Hass Avocado Board, Americans consumed more than 49 million pounds of guacamole during the 2008 Super Bowl. 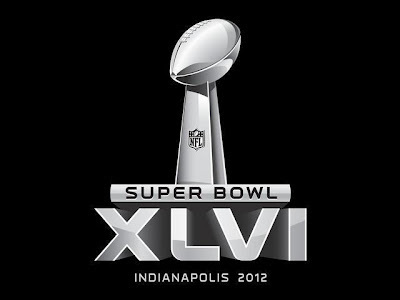 Here are a few recipe ideas for Super Bowl XLVI. Growler of fresh local beer? The top eight 'beer' days, in order from first to last, as compiled by Nielsen in 2008, were: Independence Day, Labor Day, Memorial Day, Fathers Day, Christmas/New Year's, Thanksgiving, and ... Easter (think college spring break). The Super Bowl ranks eighth. A recipe for Hop Hummus: here. 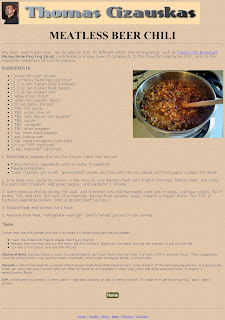 A tale of meat chili gone wrong: here.